Why would I need self storage in Spring Valley, NY? There are a variety of reasons why you might need self-storage in Spring Valley, NY. How much is a storage unit in Spring Valley, NY? The cheapest storage unit in Spring Valley, NY is $41.00 per month. What size storage units do you have available in Spring Valley, NY? In Spring Valley, NY we have sizes that range from 5'x5' to 10'x30' to suit your storage needs. How much is it for a 5'x5' storage unit in Spring Valley, NY? The cheapest 5'x5' storage unit in Spring Valley, NY is $41.00 per month. Spring Valley is a steadily-growing village that's part of Ramapo and Clarkstown in New York. The thriving village is one of the largest in Rockland County, jumping from a population of just over 6,500 in the 1960s to more than 31,000 in 2010. It's a diverse, cozy community that's attracted many young families over the years to its welcoming neighborhoods and convenient location. Spring Valley is close to many larger cities, providing easy access to plenty of options for work, entertainment, shopping and dining. Ramapo is only about 2 miles from Spring Valley, and the Bronx is only about 20 miles away. If you want to travel to Manhattan for work or play, you're only about an hour away. The village is known for its low crime rate, which has played a large part in attracting young families with children. Spring Valley's crime index has continued to dip even lower over the past several years, which is good news for people looking for a safe, quiet place to call home. Like most of the New York and New Jersey area, Spring Valley has warm, sunny summers and cold, sometimes snowy winters. During the warmer months, you'll find many locals enjoying Spring Valley Memorial Park, which offers basketball courts, a tennis court, a pool and a soccer field. Other attractions in Spring Valley include the Finkelstein Memorial Library, the Holocaust Museum & Study Center and historic St. Paul's Episcopal Church. The East Ramapo Central School District manages the elementary, middle and high schools as well as an early childhood development center in Spring Valley. Utilities: Orange & Rockland Utilities supplies Spring Valley and its neighboring communities with electricity. Sewer District No. #1, operated by the county of Rockland, is Spring Valley's primary water and sewer services provider. Garbage and Recycling: The Rockland County waste management department collects for trash and recyclables. Transportation: The village operates a local bus service, called the Jitney Bus, Mondays through Saturdays. Spring Valley is considerably less expensive than areas like Manhattan or Brooklyn, but its home prices are still well above the national average. You can choose from single-family houses with large lots, cozy townhomes or compact apartments, depending on what fits your needs and budget. Spring Valley has many mid-price homes as well as a handful of luxury estates priced at well over $1 million. Our lowest priced units in Spring Valley, NY average $52.50 per month. 91 people have reserved units in Spring Valley, NY in the past 30 days. 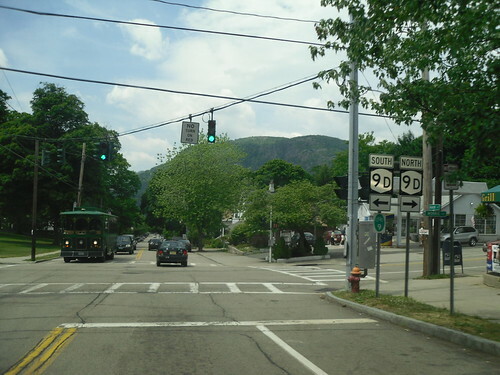 There are 2 locations within Spring Valley, NY's city limits.